Palm trees in Indiana? No, I wish! 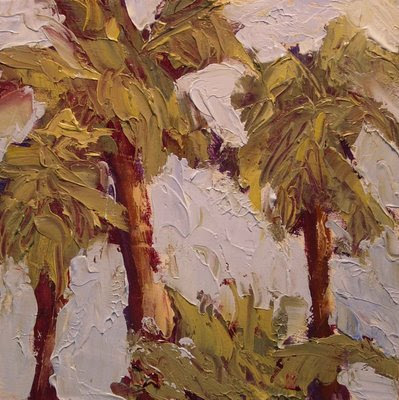 I love palm trees and have painted hundreds of them. Especially sitting amongst them on vacation. This an available study for a commissioned painting. If you would like to see more of my beach paintings click on the label "beach" below. Love all the texture in this one, Heidi! Great job. Very interesting palm trees, Heidi! The texture is so different. 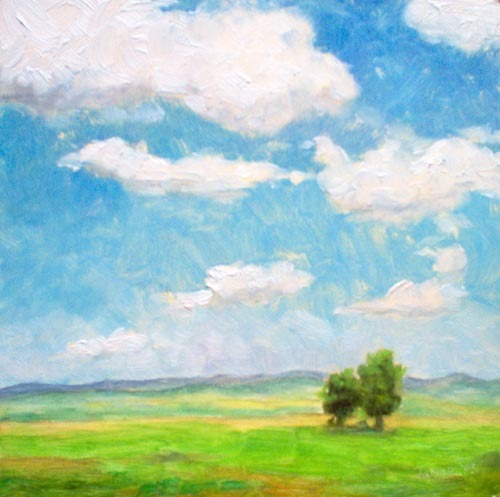 Love the impasto. Looks like palette knife painting.